First off, heat the oven to 200 degrees Celsius. 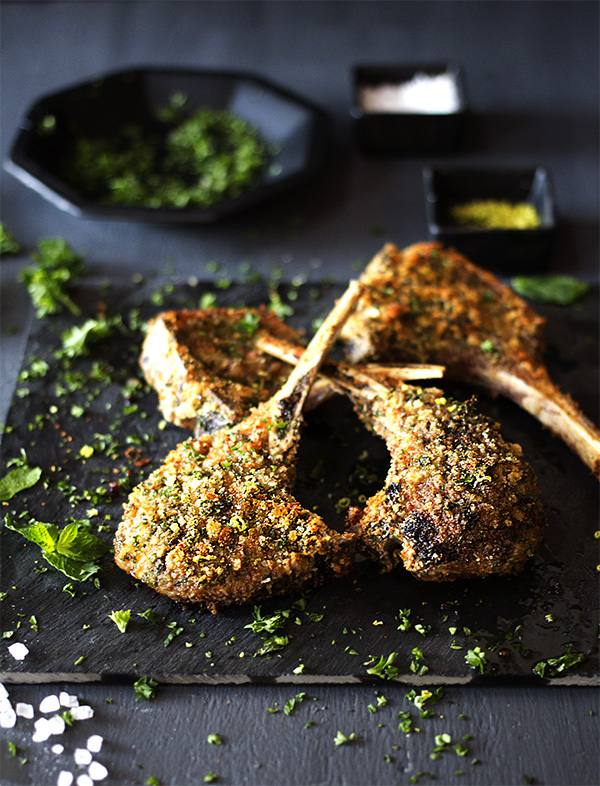 Rub the lamb chops with olive oil, season with salt and black pepper and set aside. Combine the breadcrumbs with finely chopped herbs and lemon zest. Dip and crumb the oily lamb chops and transfer to an oven safe baking tray. Bake for 40 minutes on 190 degrees Celsius until crispy.